There are a few basic essentials when it comes to putting together an outfit from any era, be it gothic, medieval, renaissance, or fantasy. 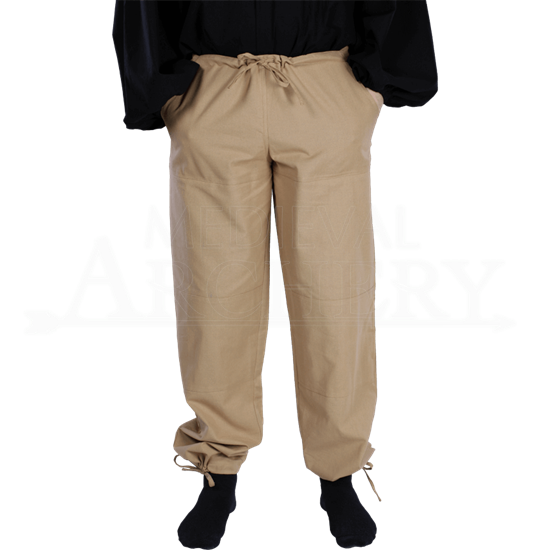 Pants tend to be one of them, and these Basic Medieval Pants are virtually universal in their style. That means that no matter what look or style you plan on fitting into, you can bet that these pants will serve you well as an edition to your ensemble. They are loose-fitting in the leg for comfort and feature a drawstring waist for some measure of adjustability. They also feature drawstring cuffs at the end of the leg, so that the pants can be worn loose at the ankle or fitted, so that they can easily be tucked into boots without any trouble. The pants also feature two pockets, one on either side of the waist, for added convenience when worn, allowing the wearer to store away little trinkets or necessities with ease. The pants are offered in a variety of sizes, ranging from child sizes to full adult sizes, as well as in two versatile colors. 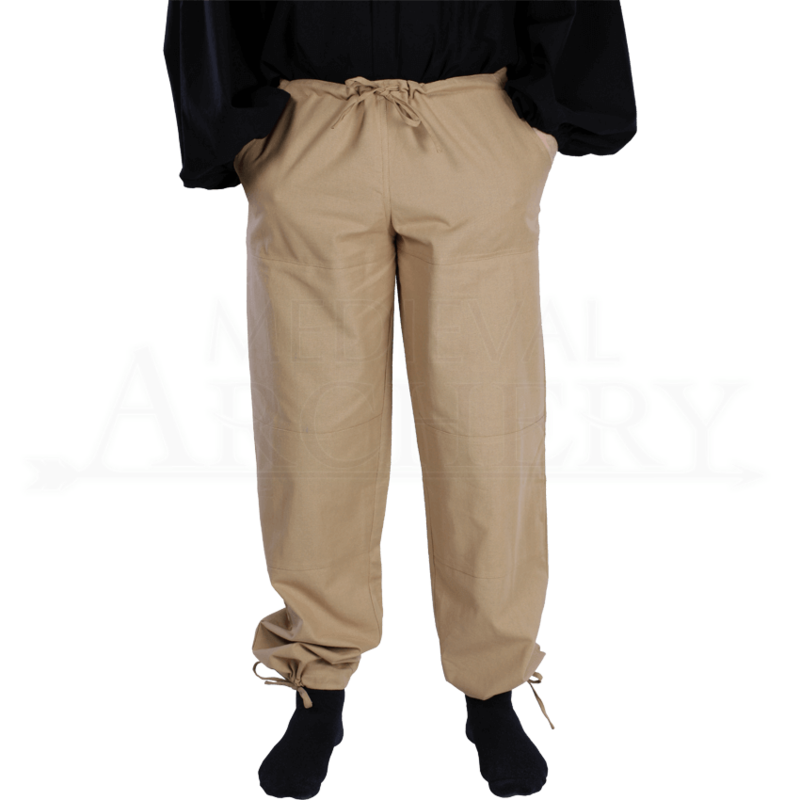 You will need pants with virtually any costume you wear, and these Basic Medieval Pants help to bring an authentic look and a comfortable fit to your ensemble.